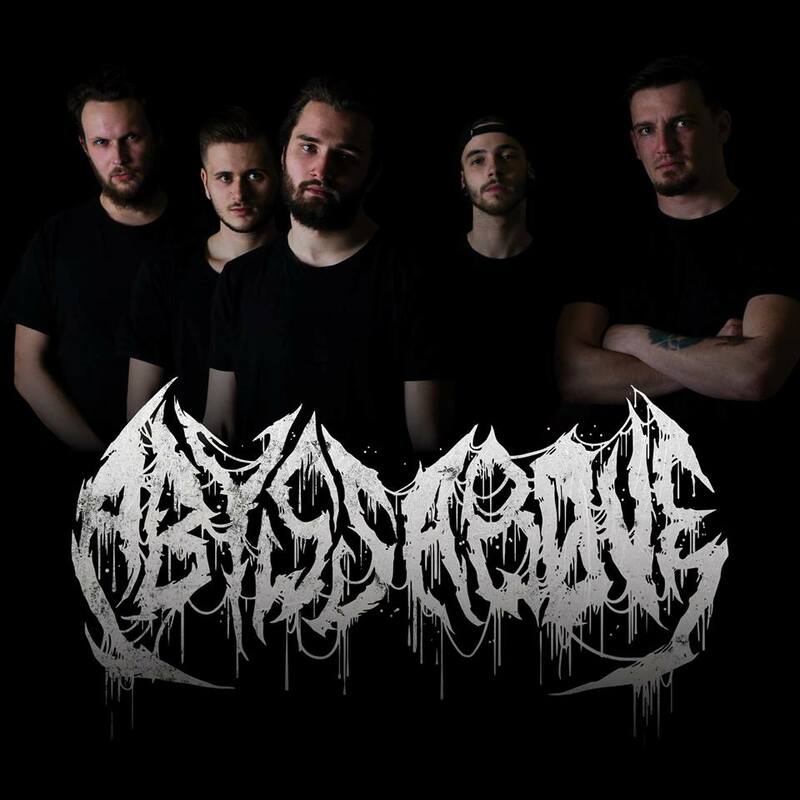 In this new occassion we have had the opportunity to interview the Deathcore band Abyss Above from Slovakia. Check out the interview and this band on their FACEBOOK PAGE. a book called The Abyss Above by Silke-Maria Weineck inspired by Nietzsche but we haven’t had the chance to read it so far. Erik: I think because we all were (still are haha) angry, frustrated, sad etc. We needed some outlet to let all these emotions out and express how we felt and we always wanted to play Deathcore because breakdowns are life. Martin: Well, before we founded the band we were friends - I have known vocalist Erik for a couple of years beforehand and have known our former drummer Daniel for a while. But that was almost three years ago and since then we havechanged line-up completely - only Erik and I have been in the band since the beginning. But yeah, I think each of us was familiar with everyone else, just by attending core shows, but maybe wasn't introduced. Erik: As Martin said, we know each other for couple of years so there’s that. When it comes to newest line-up second guitarist is my brother so we’ve been together our entire lives and yeah, we pretty much knew about each others existence via shows we attended. Martin: My favourite band at the moment must be Castiel. Although this austrian deathcore/downtempo band isn't active anymore, I still love listening to their songs. If you aren't familiar with them, check them out for sure. We had a pleasure to share a stage with them couple of times and they were just sweet dudes. I still hope to play at least one more show with them. every album/EP they’ve released so far, sadly I hadn’t had the chance to see them live but that will hopefully change soon. Matúš: Abominable putridity and Vulvodynia are the bands i can listen to all day. Of course, there are loads of other bands but those two are my favorite at this time. Tomáš: It comes individually, each of us has different influences so when guys bring the new ideas, we get together and work on how to expand on these ideas. Most of the magic happens at rehearsal room. Everyone has put something his into process of making the song, so I can tell that we slightly inspire each other besides external influence. Martin: The last show we've played was a hometown show called STAY CORE FEST. Erik: Our goal for now is to tour the Europe and play as many shows abroad as we can. bands such as Castiel, Harmed, Distant and we think that these bands are gonna go far. 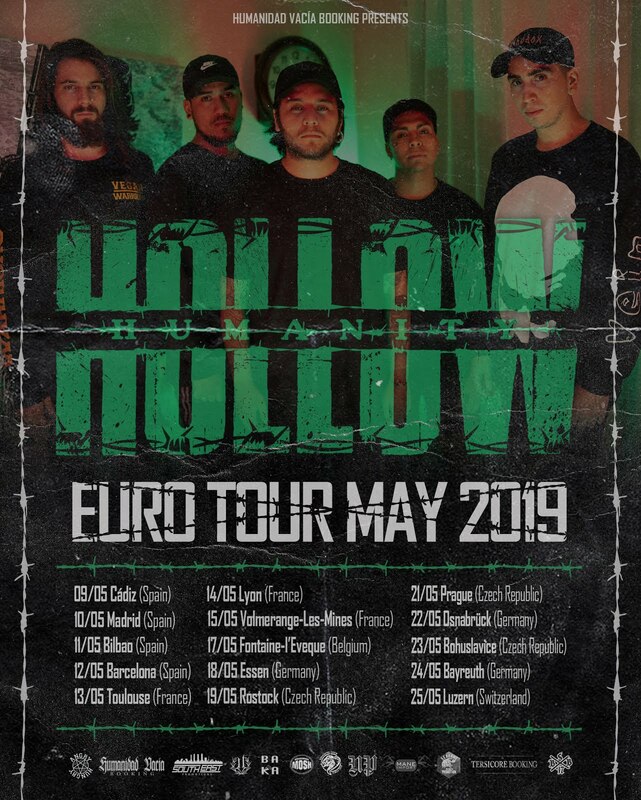 But outside of these bands we would really love to do some shows with European acts like Sineater, Drifted, Osiah, Victims, Cannibal Grandpa, Bound In Fear, Lotus Eater and few more. 9. Any of you has ever suffered from stage fright? Any tip for beginners onhow to beat that? Martin: I think each of us had an issue with a stage fright or some form of it at some point of our musical journey. I had this bad anxiety at our first show that everything would go south every moment and that we would look stupid in front of the audience, haha. But it's really hard give a good performance when you bear this "weight of the world" on your shoulders. As for recommendations, I would encourage you to prepare for what you can - have a spare cables at hand, don't stress over mistakes, don't over think it, try to move as much as you can, don't cup the mic and most importantly have fun. It will all get easier and less stressful with experience. Erik: Yeah, everyone had to go through it. I used to have it before every show but when I came on stage and started sound checking everything went away and I felt relaxed, so there’s no need to dwell in the fact that you’re afraid. Mistakes will be made but that’s the room for you to improve, even the biggest bands make mistakes, so just enjoy the show and try to make the most of it! You’re gonna remember everything and laugh at it later. Matúš: I've always been a stressful guy and when I started playing on stages I was barely bearing this fright. Couple of shots always helped me to get some courage haha. Now I'm out of this feeling right after soundcheck even without any shots or beer. I learned how to gain energy from the crowd and when they go insane, I'll go insane with them. 10. What bands have inspired you the most? Erik: The Acacia Strain, Black Tongue, Fit For An Autopsy, our bois in Distant, Traitors, Immoralist and many more for me personally. It’s hard to pinpoint one or two bands which inspired me the most because I’ve listened to a lot of bands over the years and every band inspired me in some way. 11. What do you think of your fans? Erik: I really appreciate each and every fan of ours, if it wouldn’t be for them we wouldn’t be where we are today. Buying EP, merch, checking out our music on social media, sharing or attending the show where we play means a world to us! And when it comes to the fans we can’t forget our MVP Lukas Bandura who was with us ever since we started and attended almost every show and supported us wherever we went! 12. What do you think of our site? Erik: It’s awesome to see that there are still people who spend their time and try to promote underground bands however they can. Our scene needs people and sites like yours. Thank you so much! Martin: Support the artists you like in any way possible – whether it will be by liking their posts, spreading the word, attending shows or buying merch. Every little counts. Shoutout to all people who support us, musicians, who help us make music we want to make!